What is Google maps tutorial? 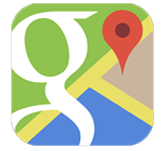 This tutorial is useful for the readers who wish to seek Google Maps API. This tutorial covers information about Google Maps API (Application Programming Interface) and how to integrate Google Maps on your webpage.